Course Aims: The NPORS N101 course aims to provide the candidate with a thorough practical and theory training in operating a Mobile Crane in order to to enable the candidate to pass the NPORS Theory and Practical Tests. Configure and set for travel (site and highway). 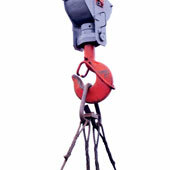 Travel the crane to an area of work. Deploy outriggers to specification (where applicable). Program/set – up Rated Capacity Indicators for lifting duties. Change the falls of rope on a hook block. Minimize the swinging of loads. Move loads through machine travel (where applicable). Explain rigging and de – rigging procedures when fitting fly jibs or boom extensions. Dismantle the crane in preparation of movement.